For Unit Holders: Taxable as if unit holder had directly made the investment. Income to be divided prorate to the unit holders. Loss: Cannot distribute to unit holders. 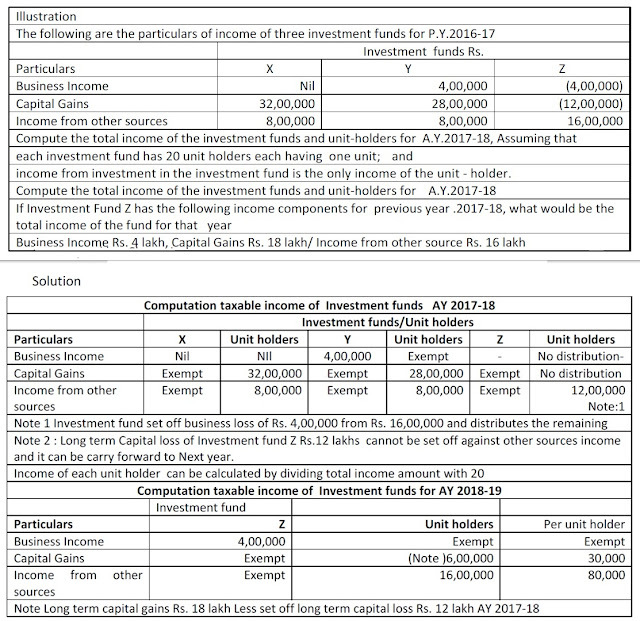 Investment fund can set off and carry forward the loss. 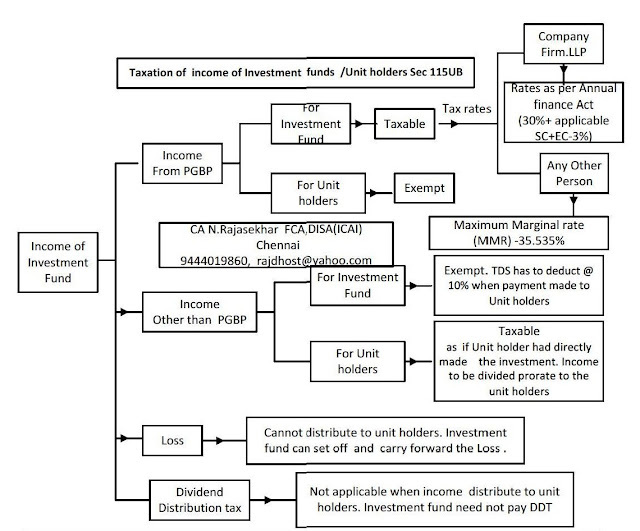 Any fund established or incorporated in india in the form of a trust or a company or a limited liability partnership or a body corporate which has been under SEBI as category I or II Alternative Investment fund regulations under SEBI Act.